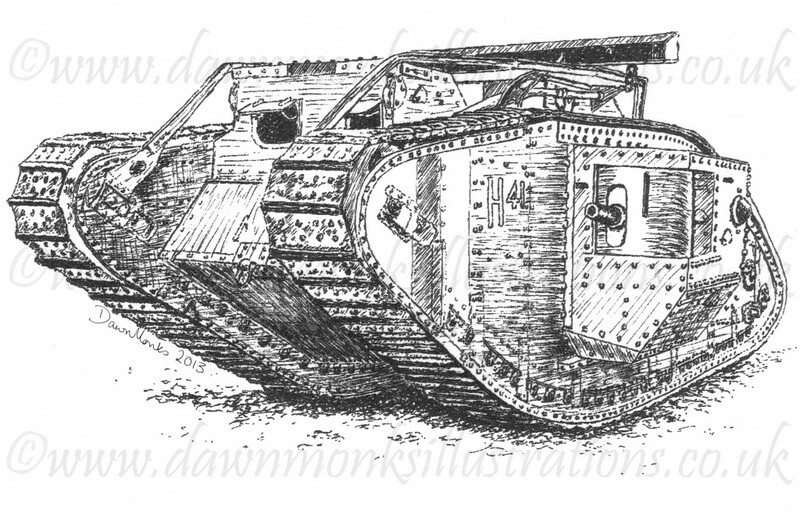 Pen & ink illustration of a British WW1 Mk V male tank, based on the H41 tank now on display in The Tank Museum, Bovington. The framed original picture, as well as limited edition individually signed and numbered off-set litho prints, can be purchased from my online shop. Or feel free to contact me if you’d like to discuss commissioning a picture of a particular type of tank (any era) or any other military vehicle that you’ve a bit of a soft spot for.